While banks have 24 hour security systems, natural disasters and other events can cause safety deposit boxes to be destroyed and become irrecoverable. Another option to having a safety deposit box is to store possessions somewhere in the home. In this case, the homeowner will need to be creative when determining where the possessions will be hidden and will also need to ensure that valuable possessions are insured and secured. A personal safe is often cheaper than a safety deposit box and is also much more convenient. Also, personal safes do not have to be insured, while safety deposit boxes do have to be insured so that the possessions can be replaced in the event of a disaster. A homeowner's insurance policy usually covers property within the safe that is lost. Safes tend to hold a lot more valuables than a safety deposit box and the valuables can quickly be placed in the safe if necessary. Homeowners should buy the heaviest safe they can afford. Burglars are less likely to be able to escape with heavier safes than with lighter safes. The lock on the personal safe can be a numerical key, a conventional key or some type of biometric scanning device such as a thumbprint scanner. Homeowners can leave some money for a burglar to find in the event that the burglar breaks into the home. 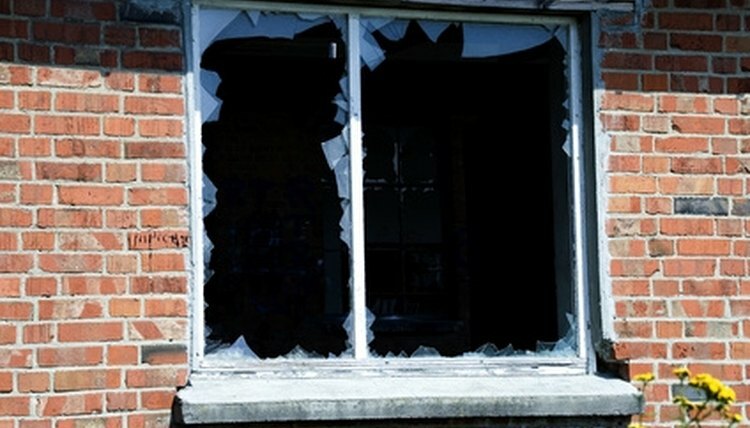 Burglars are likely to continue searching and damage different parts of the house in order to find belongings. By leaving money around, the burglar might leave without taking the most valuable possessions and before causing further damage to the home. One good place to hide important belongings is in a child's bedroom in an area that is not neat and orderly, since parents rarely trust children with money and a child's bedroom will often have a lot of possessions through which to search. Burglars also tend not to search the underside of the garbage can, the inside of laundry detergent and within the packaging of purchased products. Many possessions can also be frozen inside bags of frozen vegetables. Burglars are unlikely to run off with bags of frozen food and are also unlikely to defrost the frozen food in order to steal the materials inside. However, homeowners must ensure that these possessions will not be damaged when frozen. Companies produce safes that look like common household products such as canned food and water bottles. These safes are unlikely to be searched and can also come with keys so that burglars will have a hard time opening them if they are discovered. Find Articles: Who Needs a Safe-Deposit Box? Pearson, Charles. "Safe Deposit Box Alternatives." , https://legalbeagle.com/7155290-safe-deposit-box-alternatives.html. Accessed 25 April 2019.